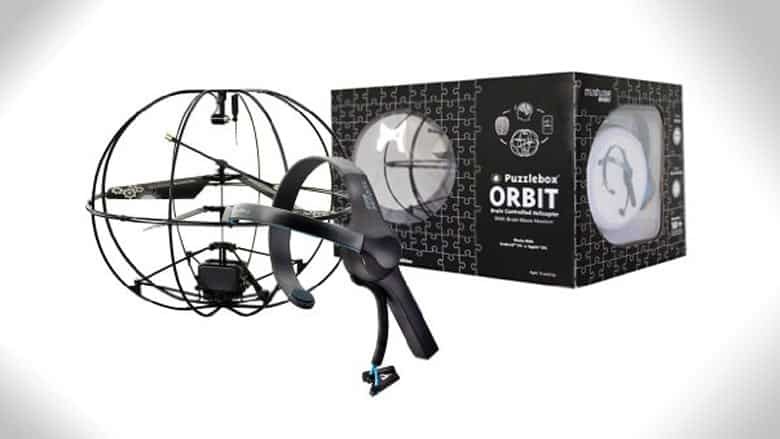 Puzzlebox Orbit: Control a Helicopter With Your Brain | Nerd Much? The world of toys is always filled with innovation, and we always get excited when we see new technology enter the market. So, you should all drop what you’re doing and check out the Puzzlebox Orbit Mobile Edition, a brain-controlled helicopter. Yes, you read that correctly; you control this helicopter with your brain. It utilizes an EEG headset that users can use to fly the Orbit by focusing their concentration and clearing their mind. It uses colorful visuals and physical feedback to help give positive reinforcement while developing attention skills and mental relaxation. But, most importantly, you’ll feel like Sylar from Heroes as you move the Orbit about. You might have seen the Orbit on the Science Channel’s All American Makers, and if not, you can watch the segment below. For more cool stuff to buy that you probably don’t need, stay tuned to Nerd Much.